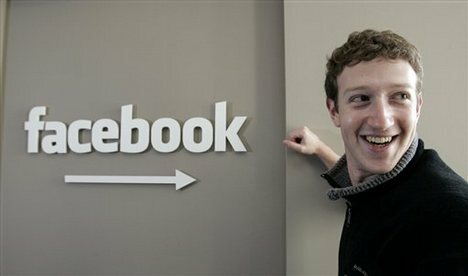 Ryan Holmes in The Huffington Post – After the IPO: What’s next for Facebook and Social Media? HootSuite CEO Ryan Holmes is featured on the Huffington Post’s Tech homepage today. Holmes, who has a regular column on the site, weighs in on the Facebook IPO and what this means for the future of social media. You can check out the post here. Facebook’s $100 billion price tag should erase any doubts about the game-changing impact of social media, Holmes writes. Social media is here to stay. It’s changed the way we communicate. And it’s a huge business. 1) Social media goes mobile. There’s a ton of room for improvement in terms of the mobile social media experience. Look for better location-awareness features and integration with third-party apps in years ahead, as mobile Internet use comes to dominate desktop use. 2) The privacy debate heats up. Facebook has already alienated some fans and angered watchdogs over the ways it uses data collected from its 901 million users. As its new shareholders begin to demand greater returns, there will be even more pressure to mine user info in new and more pervasive ways. 3) Better business models will emerge. Better business models – that let sites stay in the black without compromising user privacy – are already out there. Expect to see the freemium model (with sites offering free and paid premium versions) grow in the years ahead. 4) Social media goes international. The rest of the world is catching up with North America’s social media wave. While US growth rate has slowed for Facebook, adoption of the social network is still rapidly growing with Brasil and India leading the charge. 5) Social media goes corporate. Facebook Pages is already a powerful tool for small businesses to engage with customers. In the years ahead, Facebook and other networks will turn more attention to courting mid- and large-sized companies with paid enterprise editions. 6) Better integrations and more open platforms. Why is 1/7th of the world on Facebook? Not just to post status updates. There are hundreds, maybe thousands, of ways to wile away the hours on the site (FarmVille and Mafia Wars, I mean you). These kinds of 3rd-party integrations – with networks welcoming contributions from an ecosystem of outside developers – are clearly the way forward. For the full story, check out Holmes’ complete article on Huffington Post website. Tune in to the The National – the flagship nightly news program from the CBC – tonight at 10pm PDT to see Ryan discussing the upcoming IPO with host, Ian Hanomansing. We’ll post the segment on the blog when it becomes available.